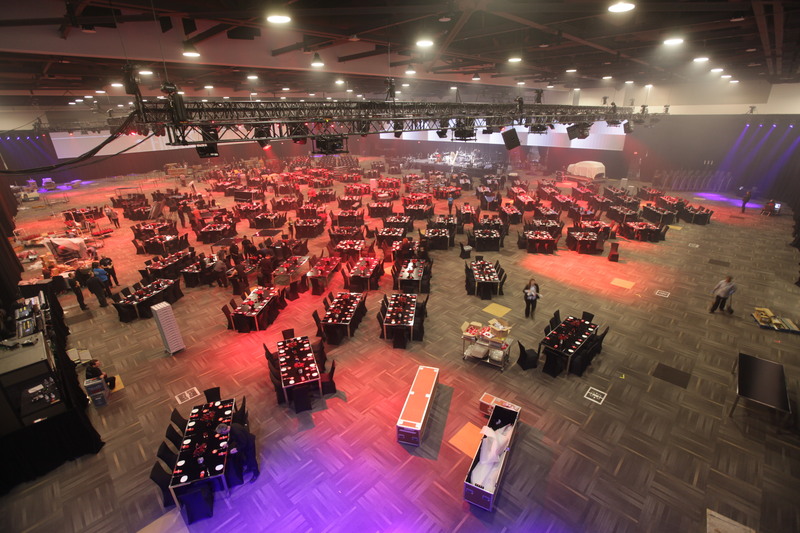 Time lapse of a big corporate event at the Ottawa Shaw Center. 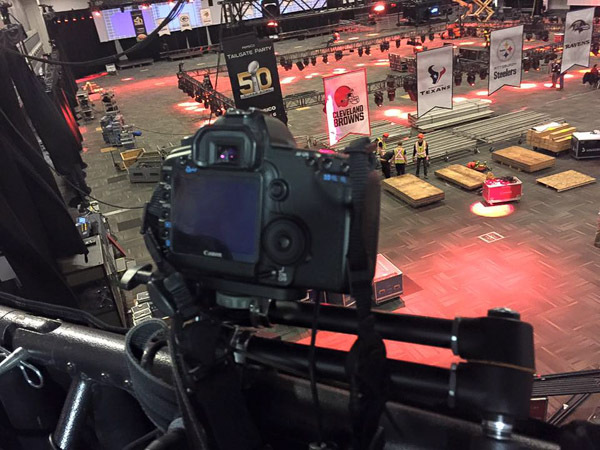 For 10 days, the huge room goes into various stages of preparation, layouts, and events. 10 days, 3 cameras, 45000 photos to play with. Il s’agit d’un des plus gros projets sur lequel j’ai travaillé. 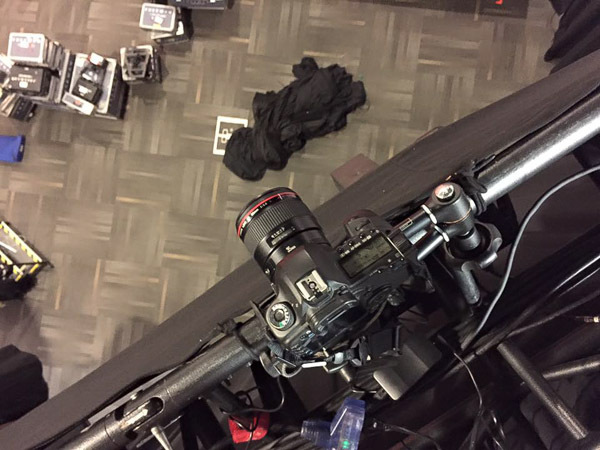 En février, je devais réaliser le time lapse d’un événement corporatif organisé par Ruby Sky Event Planning au Shaw Center d’Ottawa. Six jours de préparation où la salle est en montage puis, pendant les trois jours de l’événement, plusieurs étapes de démontage et remontage pour accommoder une soirée d’ouverture, des discours, des ateliers, et une soirée de clôture incluant un souper grandiloquent et un concert rock. Trois caméras, une photo aux 35 ou 45 secondes par appareil avec pour résultat un total de 45000 photos. 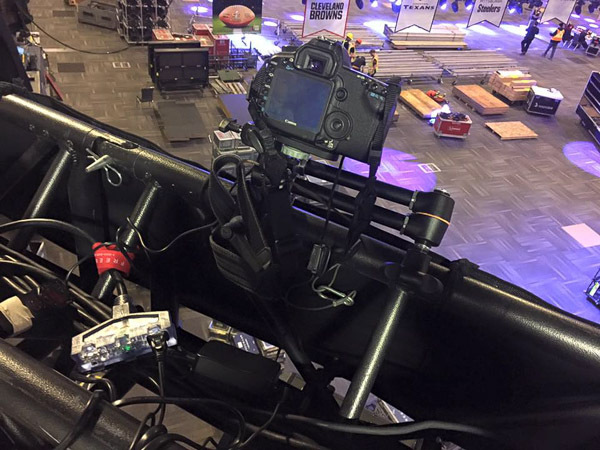 Technical: 1 photo every 32 seconds with a Canon 1D Mark III with a 16-35 at 16. I ended up with 17,000 something photos to play with. Pour un gros événement corporatif au Centre des Congrès de Québec, mon client Ruby Sky event planning voulait avoir un time lapse de la salle en train d’être monté, puis de l’événement en tant que tel. Vous voyez six jours compressé en un peu plus de cinq minutes. La salle prend forme pendant les trois premiers jours, puis passe à travers trois différent changement de décor lors des trois jours suivant. Si possible, regardez sur Youtube en utilisant le HD et le gros lecteur. 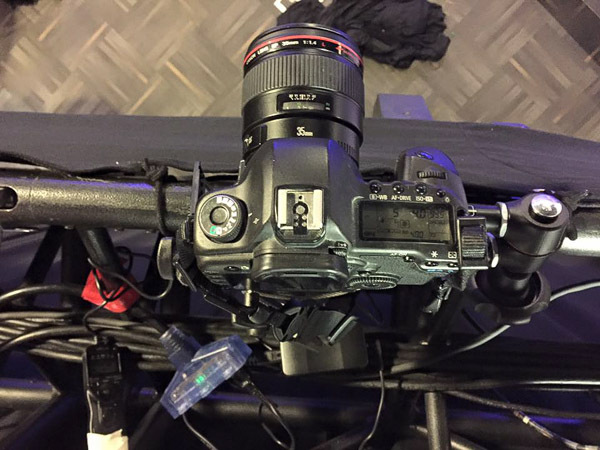 Au niveau technique, une photo a été prise aux 32 secondes à l’aide d’une Canon 1D Mark III équipé d’une 16-35. Cela m’a donné plus de 17,000 photos. Not too long after it went viral, a very popular Youtube user named freddiew sent me a private message asking me if I was OK with his own take on my idea. You bet I was! Here is his homage: Time lapse of a grown man playing with his toys. And just recently, a young man did the same: Time Lapse of a Middle Schooler Playing with his Toys. I mean… How CUTE is this kid! This is my newest time lapse: The 2009 Quebec Carnival canoe on ice race. You MUST click on « Watch in HD ». A couple of years ago, before I knew I was going to make a living with photography, I was shooting for a small wrestling federation in my hometown of Quebec City. At that time, I was shooting with a Rebel with a kit lens, then with a 20D with a Sigma 24-70. With the Rebel, I was using the pop-up flash, and with the 20D I was using an on-camera 420ex speedlight. Yesterday was a back in time night for me. There was a special wrestling show held by two wrestler I met at that time, and I asked them to take pictures. This time, I was going to do it with professional equipment, Strobist style. I put 3 550ex speedlight up on the mezzanine, allowing me to have a nice light at 400 ISO, 1/250 at f2.8 (1/250 is the max sync speed for Canon). You can see the lighting diagram here. You can compare the pictures below with my “best shot” of my early years. I think the difference is pretty obvious! Scott Matrix gets back to the locker room at the « Night of Excellence » wrestling show held at CEGEP de Limoilou January 18, 2008. Michael Style (right) team up with Matt Falco to give Antonio Corsi (left) some pain at the « Night of Excellence » wrestling show held at CEGEP de Limoilou January 18, 2008. Sunny War Cloud (left) and Jake Matthews fight at the « Night of Excellence » wrestling show held at CEGEP de Limoilou January 18, 2008. Giovanni (left) looks on his partner Sunny War Cloud (right) at the « Night of Excellence » wrestling show held at CEGEP de Limoilou January 18, 2008. Franky The Mobster trash talks his opponent before a fight at the « Night of Excellence » wrestling show held at CEGEP de Limoilou January 18, 2008. Titus applies a hold on Franky The Mobster at the « Night of Excellence » wrestling show held at CEGEP de Limoilou January 18, 2008. Roderick Strong waits for his opponent at the « Night of Excellence » wrestling show held at CEGEP de Limoilou January 18, 2008. Roderick Strong gives some pain to Marko Estrada at the « Night of Excellence » wrestling show held at CEGEP de Limoilou January 18, 2008. Despite loosing his match, Marko Estrada is congratulated by the crowd at the « Night of Excellence » wrestling show held at CEGEP de Limoilou January 18, 2008. And as a little bonus: a time lapse!